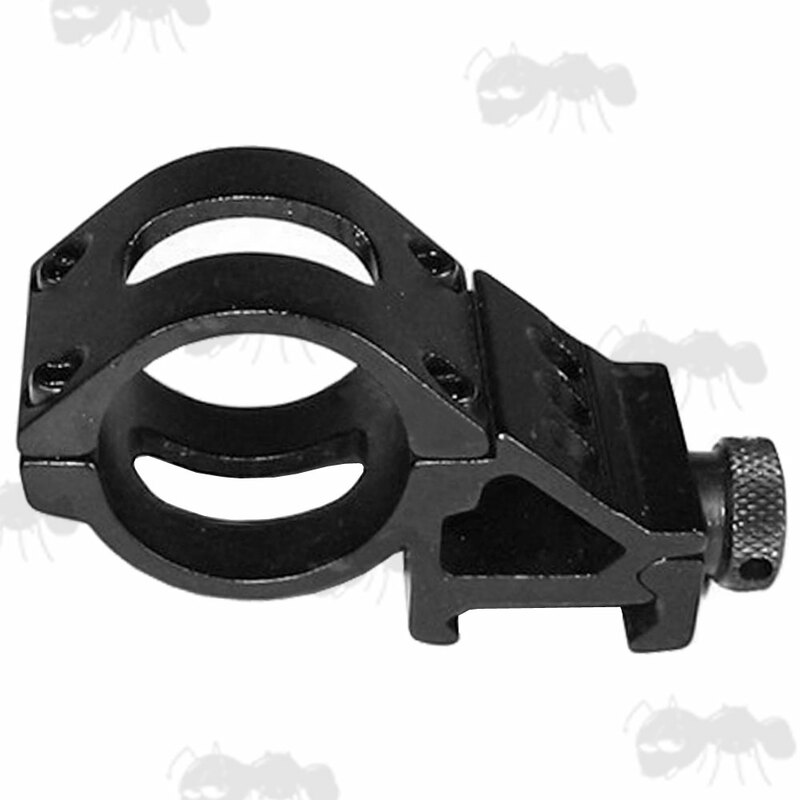 For mounting flashlights (or lasers) to one side on Weaver / Picatinny rails. 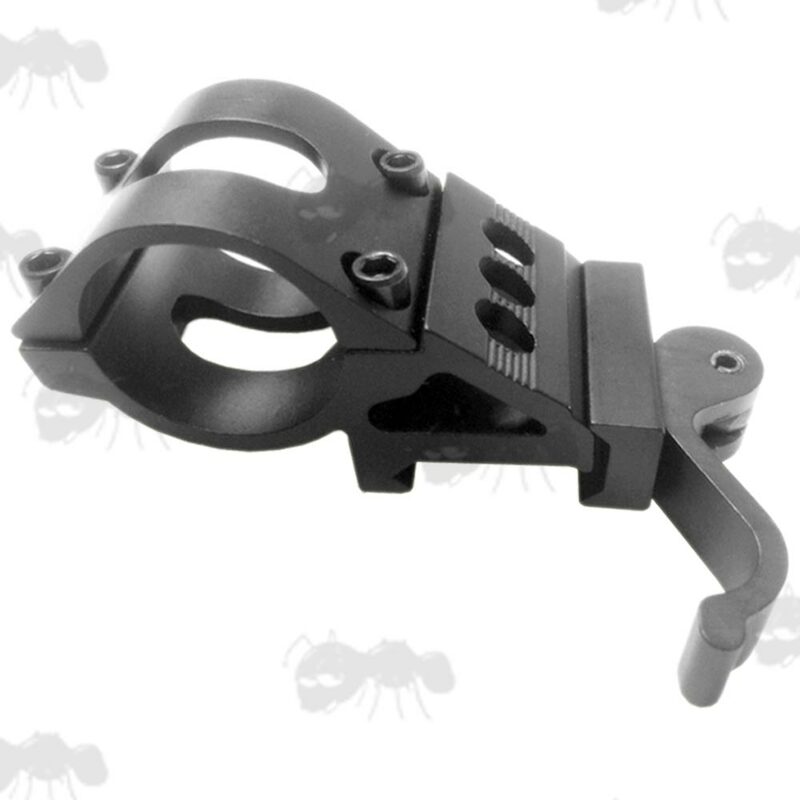 Also available ~ Standard inline gun rail torch / laser mounts. 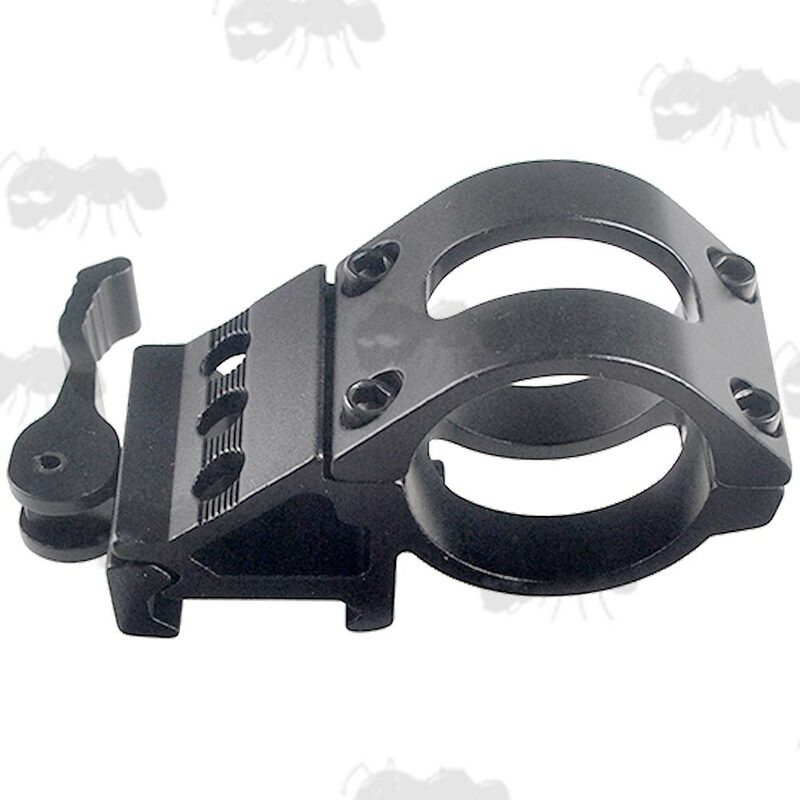 Double clamped secure low-profile mount. 20mm weaver / picatinny fitting with a large quick fitting / release nut. Overall height 35mm, length 30mm, width 70mm overall. 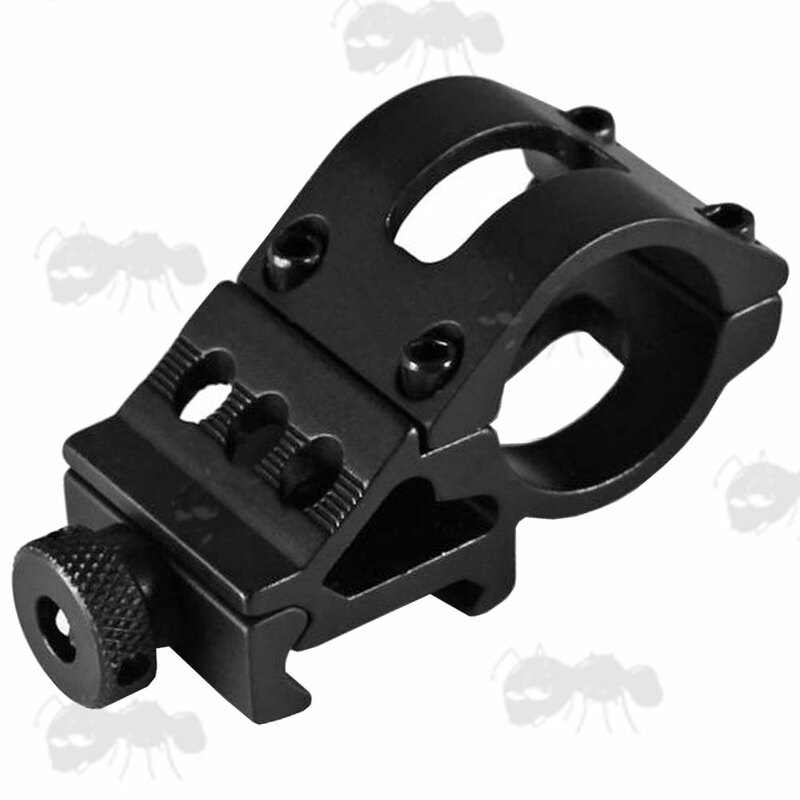 Precision machined high grade aluminium alloy construction with an anodised finish. 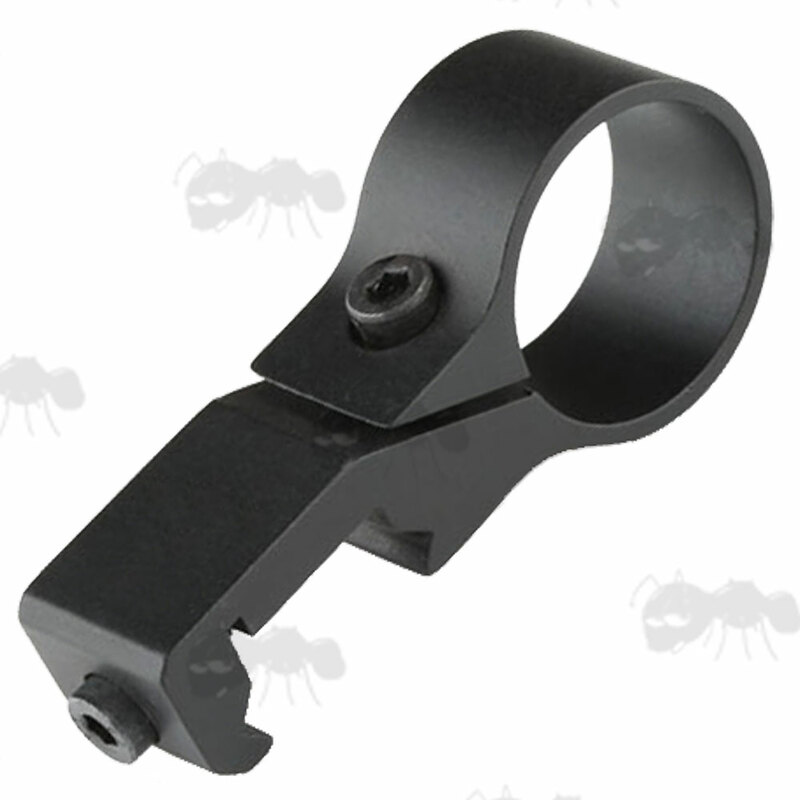 Ideal for mounting a torch so to offset the beam, to not impair the view through your scope. 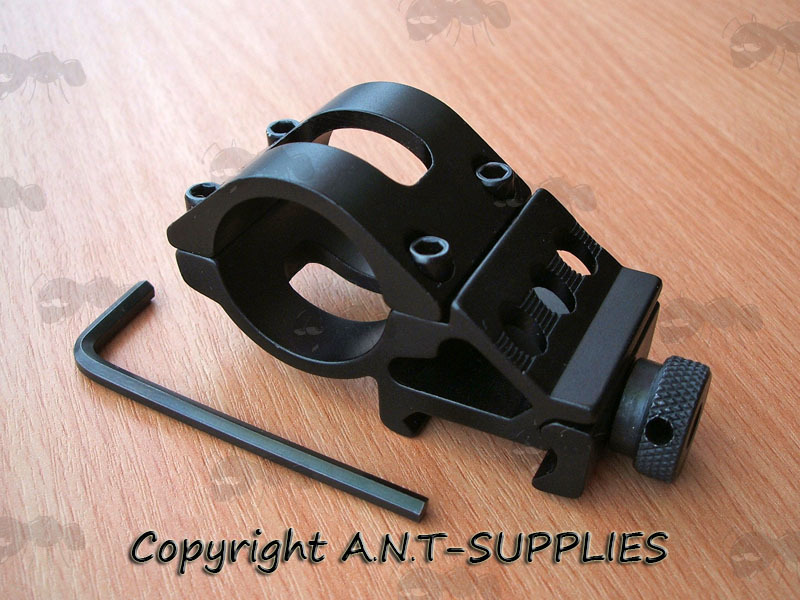 Also available ~ Weaver / Picatinny offset rails.